Home / More / Library / List of Medicinal Plants / Monstera spp. Infection, Fever [China], Snake bite [Antilles (topical and as a charm)], To cauterize wounds and for leg pain [Bolivia (heated leaves poulticed)]; trauma, bruises [China (poulticed and internal), Cough [China]. 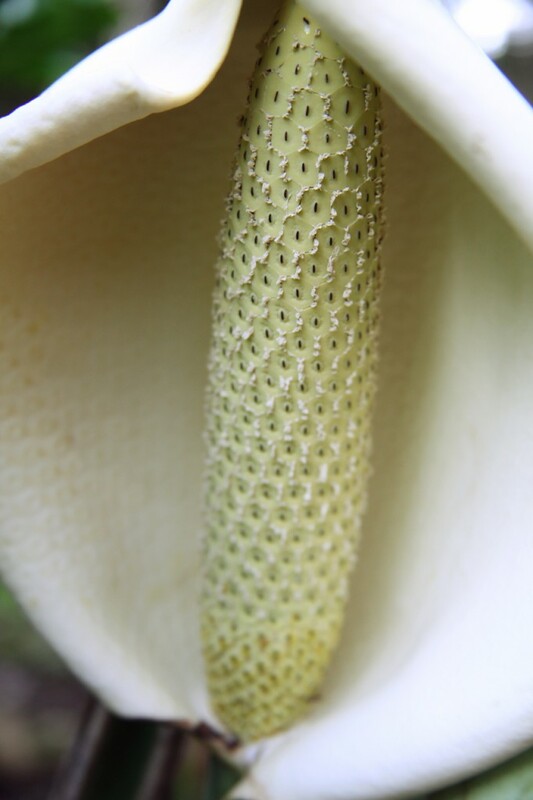 USE AS FOOD: Monstera has been grown commercially in Florida. Made into drinks and ices, and put in fruit salads. In Europe Monstera has been used to flavor champagne. PLANT PART USED: Whole plant. Fruit as food. All species contain a caustic sap which causes blistering. Can cause hives. PREPARATION OF MEDICINE: Boil well! NOTES ‘N QUOTES: There are 50 different species of Monstera.